(1) Point and sing impromptu exercises, starting on the Tonic, E, and moving stepwise to and from this note. Use Sol-fa, pitch-names, and Lah. 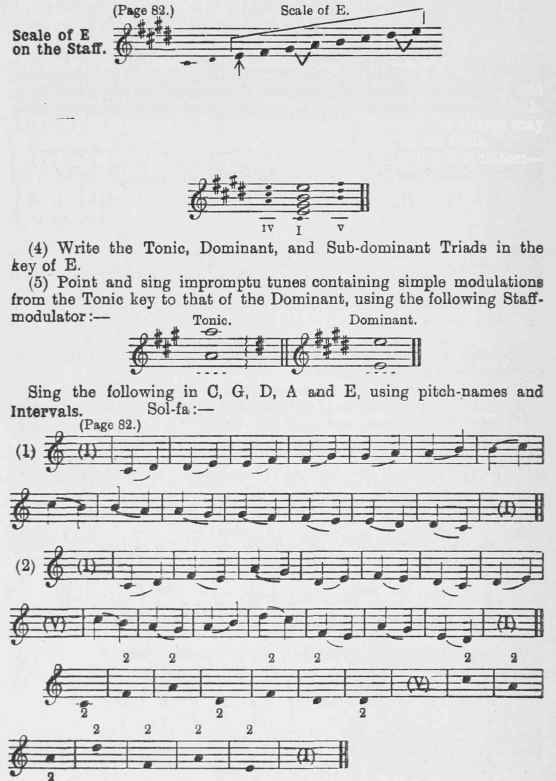 (2) Write the scale of E, beginning on the Tonic. The sharps may be inserted as a signature or placed before the notes in the scale.